Even if you weren’t trying to keep up with all your fall shows returning, this week was a busy one. Here’s a look at what captured our attention the past seven days—from the Pope to a little rat with a big dream. Also, we’re changing up this series, so this will be our last regular Friday post for a while. We’ll be back soon in a different format. Until then, keep on searchin’ on. Let’s start with the important stuff. 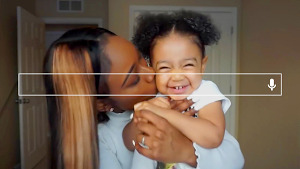 This week the Internet was captivated by a YouTube video showing a rat carrying a slice of pizza down the stairs of a New York subway station. There were more than 50K+ searches for “Pizza Rat” on Monday, and the 14 second-video has more than 6 million views at last count. 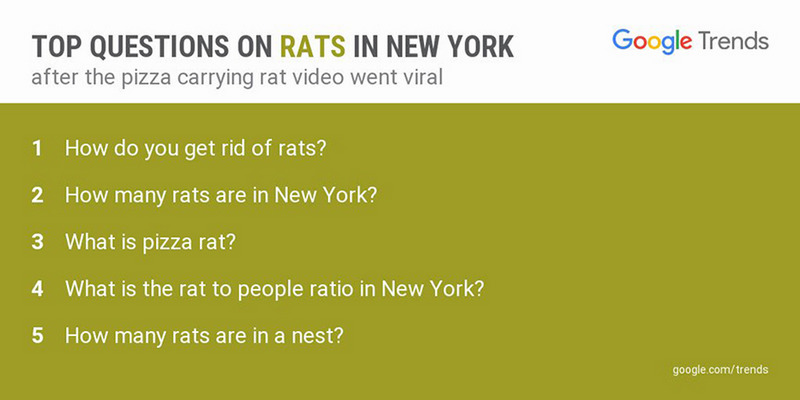 But while #PizzaRat memes multiplied across the web, New Yorkers had some more unsettling questions in mind, like: “How many rats are in New York?” and “What is the rat to people ratio in New York?” (Are you sure you want to know?) Whether Pizza Rat is a hero or a quitter, something about him spoke to us. Because in a way, aren’t we all just rats trying to find a slice of pizza in the subway station of life? This week Pope Francis became the fourth pope to visit the United States, in a highly anticipated tour that took him from D.C. to New York, with a Philadelphia stop still to come. Every day of his visit has brought headlines and curious searches (more than 500K on Tuesday)—and he’s been busy. He met with President Obama (and the President’s dogs) at the White House, stopped by the Capitol to give a joint address to Congress (the first time a pontiff has ever done so), canonized Junipero Serra, visited the 9/11 Memorial, spoke at the United Nations and made statements on everything ranging from climate change to the refugee crisis. Meanwhile, people have been asking all sorts of questions about the Pope and his visit. 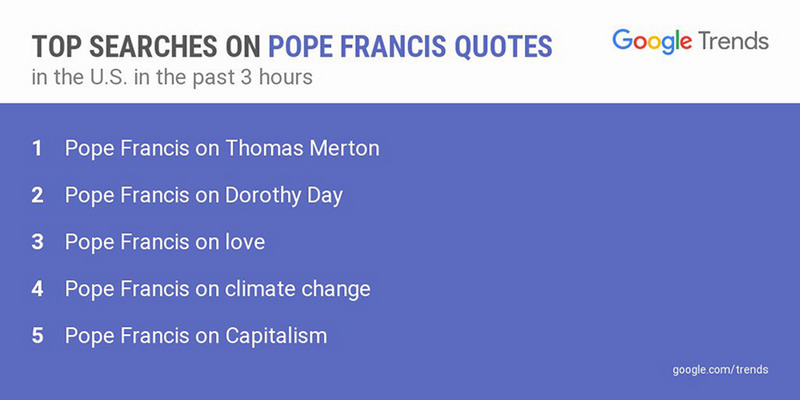 Perhaps the most interesting—and inspiring—searches about the Pope’s visit are those looking for information on what he has said. Notably, people wanted to learn more about Thomas Merton and Dorothy Day, whom the Pope described in his joint address to Congress as Americans who had “built a better future” through “hard work and self-sacrifice” (the other two Americans he mentioned? Lincoln and Martin Luther King, Jr.). In fact, searches for Dorothy Day, the founder of the Catholic Worker Movement and an advocate for social justice, spiked 1700x after the Pope discussed her in his speech.